With Pennzoni's acrylic drum cages for your Drum sets, you and your Drummer will be able to achieve that perfect mix and sound. We take great pride in these enclosures and the quality of their construction. With 15 years of custom fabrication in the plastics industry behind us, we can construct any possible enclosure for your drum sets, drum kits, drum and bass, or any type of sound or noise that you need to control. So let the specialist at Pennzoni help complete your drum set accessories at these great introductory prices. Made with 1/4" high grade clear acrylic. 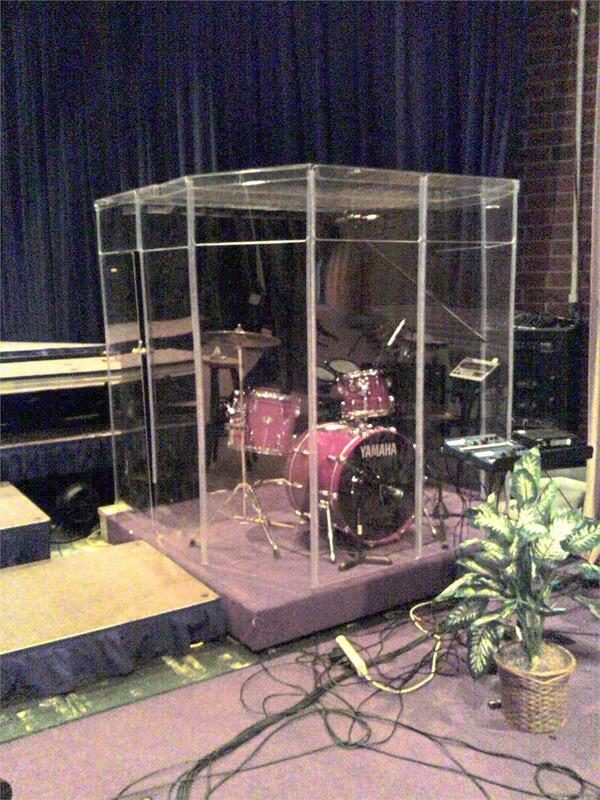 I'm really impress with the Sound Reduction, This Drum Booth is Amazing it does the job, and it looks really good on the Stage! Thank you Pennzoni for an amazing product.